In a bizarre turn of events, the Chicago Blackhawks had to play emergency goaltender Scott Foster against the Winnipeg Jets on Thursday. Foster saved all seven shots he faced in a 6-2 win over the Jets. 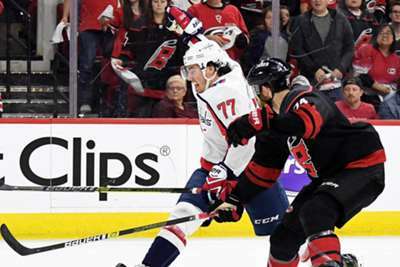 It was not bad for a 36-year-old who had not played competitive hockey since his four-year career at Western Michigan University ended in 2006. Of course, no-one expected Foster would even sniff the ice, let alone turn away all the shots he faced. 36-year-old Scott Foster stopped all seven shots he faced in relief in his @NHL debut! But starting goalie Anton Forsberg suffered an injury in pre-game warmups. Backup Collin Delia, who had just been recalled from the minor leagues, made his NHL debut on Thursday and played well in relief of Forsberg, stopping 25 of 27 shots. But he left early in the third period with an apparent lower-body injury. Enter Foster, whose only hockey stats (.875 save percentage, 3.44 GAA) came at Western Michigan those many years ago. 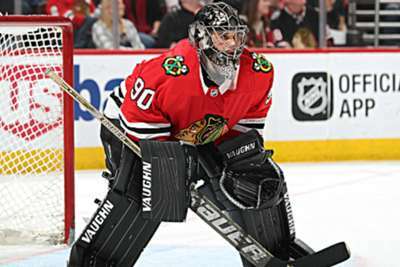 He is at every Blackhawks game as the emergency backup, bringing his equipment along. He eats dinner in the press box as the team's guest, waiting for the call that will never come. Thursday, he got that call. After a brief warmup period, Foster settled down in the net and stopped his first shot a minute later. With the Blackhawks' faithful in United Center actually chanting "Foster! Foster! ", the old college goalie turned away six more shots in his 14 minutes of action. "I think I'm just hitting my prime," Foster told the Chicago Sun-Times. "The initial shock happened when I had to dress. And then I think you just kind of black out after that. "I'm an accountant by day. So a few hours ago I was sitting on my computer typing on the 10-key, and now I'm standing in front of you guys just finished 14 and a half minutes of NHL hockey."